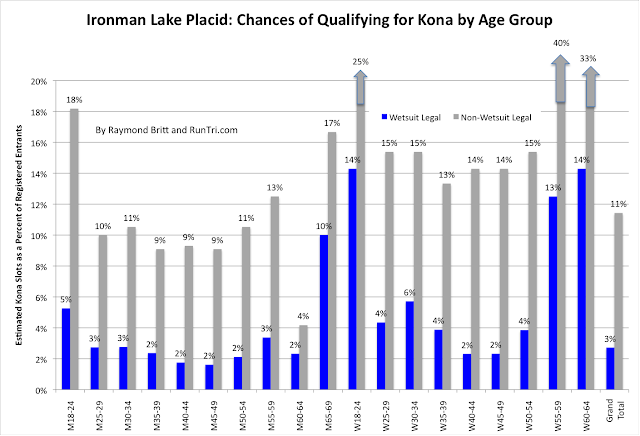 Only 5% of the field did not finish the 2010 Ironman Lake Placid. Women in most age groups were more likely to drop out. Still, the number of DNFs is relatively low, compared with most Ironman races. Very favorable conditions certainly encouraged triathletes to push on to the finish. For more analysis, return to our exclusive Ironman Lake Placid coverage.